It’s been a hot few weeks this summer with temperatures reaching over 100 degrees Fahrenheit in Southern California. I have been hearing people complain nonstop about how hot it’s been, but this heat hasn’t stopped yours truly from consistently biking to the office twice a week. Things are only going to get better as the weather starts to cool down. Biking to work continues to be a fun and enjoyable workout for me. The steep uphill climbs improve my muscular endurance. With each passing week, I feel my strength and stamina improving with each ride. I can feel myself riding faster with less fatigue. I just discovered this great free app on iTunes called Runtastic Road Bike. Runtastic Road Bike uses your phone’s GPS to provide you with important details of your ride such as: distance traveled, duration, average speed, maximum speed, elevation, calories burned, average pace, and route taken. 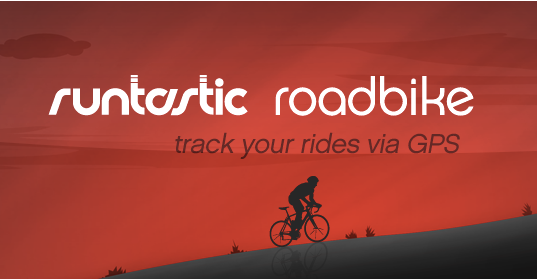 The app tracks your ride in real time and uses Google maps. There is a paid version of this app, but for my needs the free version is more than sufficient. The Pro (paid) version of Runtastic Road Bike features voice notification telling you how far you’ve traveled (in miles) and how much time has elapsed. The paid version also includes offline maps, so internet connection is not needed while biking. You can find the app on iTunes App Store and Google play here. Even with red lights along the ride, I am now able to make my 5.7 mile bike commute to work in 30 minutes, 10 minutes faster than my first ride, which took 40 minutes. My average speed was 11.2 mph with a maximum downhill speed of 21.8 mph. My return trip took a little longer at just under 37 minutes, which is still 7 minutes faster than my first ride home, which took 44 minutes. My average speed was 9.4 mph with a maximum downhill speed of 24.0 mph. The return trip took longer because the majority of the ride is uphill. 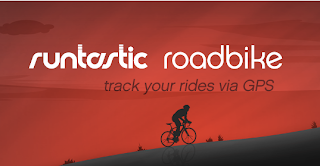 The Runtastic Road Bike app is going to help me track my progress as I continue to bike to work. The app has saved me a few bucks from buying a speedometer I knew that I was going fast on my downhill rides but I had no idea that I was traveling up to 24 mph! My high speed downhill runs have been irritating my eyes and drying out my contact lenses. I have tried various sunglasses but found that fast moving air and debris still gets past the lens and into my eyes. I did a google search and found out that other bike riders also regularly experience eye irritation from downhill riding and mountain biking. 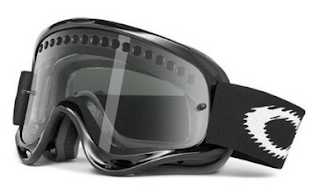 The Oakley O Frame MX goggles seemed like a user favorite. I stopped by the local Oakley store to try them on, then went home and bought a pair on Amazon.com. You can find the goggles with a clear lens here. You can find the goggles with a tinted lens here. While the goggles may look slightly ridiculous on the road, they completely block out any air, dust, and debris from my eyes while being extremely comfortable to wear. My eyes no longer get irritated during my bike rides. As a recent study found, exercising regularly can extend your lifespan, improve happiness, reduce memory loss and prevent mental illness. Staying healthy can improve your mood and outlook on life. Biking regularly can keep you toned and fit, which can lower your future health care costs. Biking instead of driving can save you money on gas, vehicle maintenance and wear. You can read my other posts on biking here and here. Biking has been a fun and easy way for me to maintain a healthy lifestyle. What can exercise (including biking) do for you?